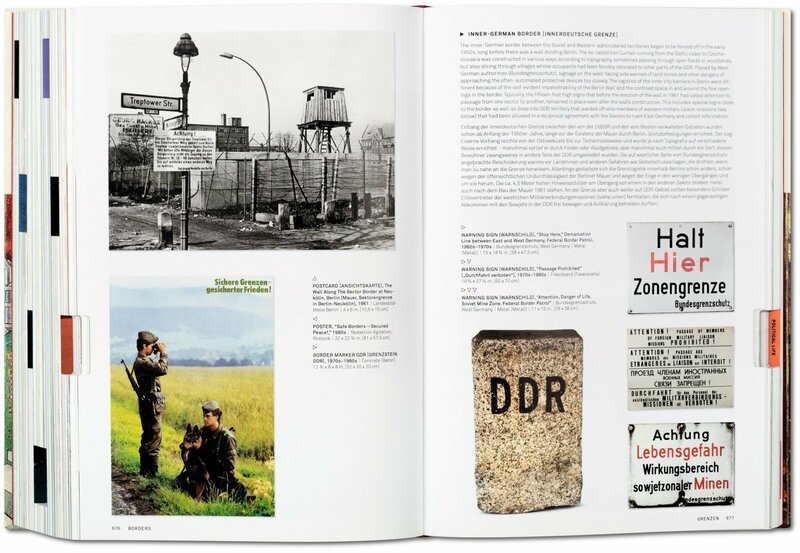 A groundbreaking volume offering the most comprehensive overview of GDR visual culture. 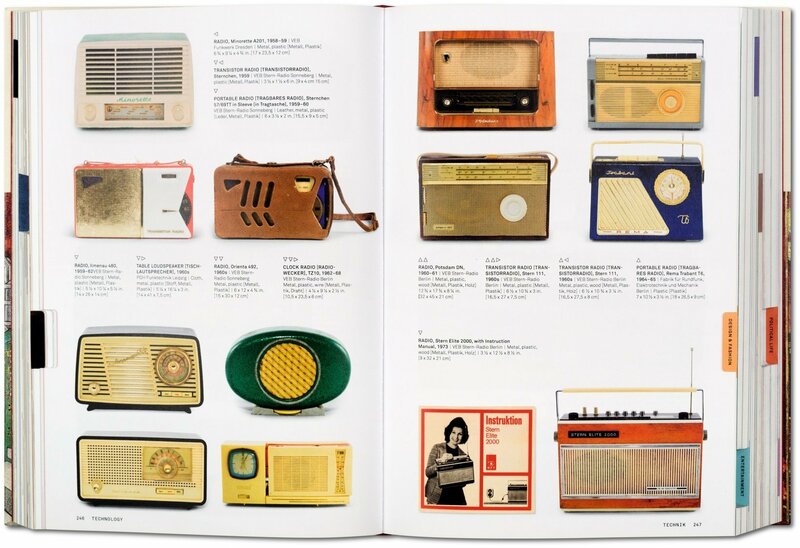 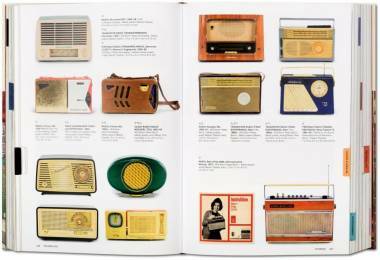 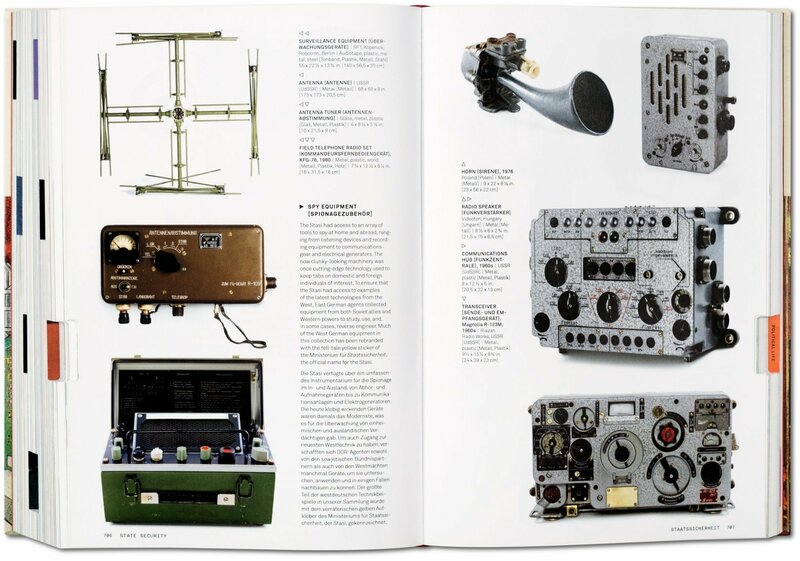 From fashion photography to secret police surveillance equipment, this unrivaled catalogue features more than 2,500 artifacts, design pieces, and everyday objects, gathered from the extraordinary collections of the Wende Museum, Los Angeles. Never before has a book included this full a spectrum of works from socialist East Germany. 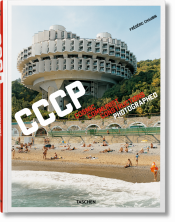 For 40 years, the Cold War dominated the world stage. 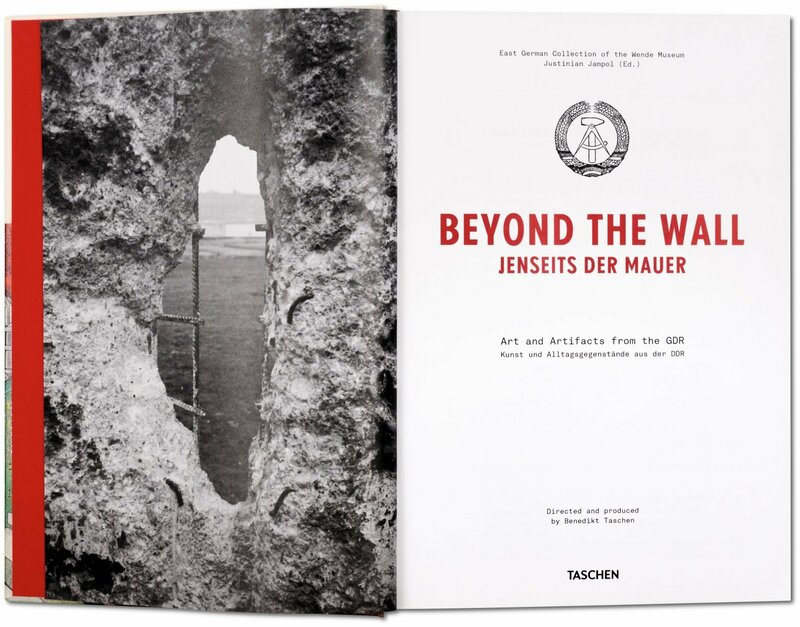 East and West Germany stood at the frontlines of the global confrontation, symbolized by the infamous Berlin Wall, which separated lovers, friends, and families, coworkers, and compatriots. 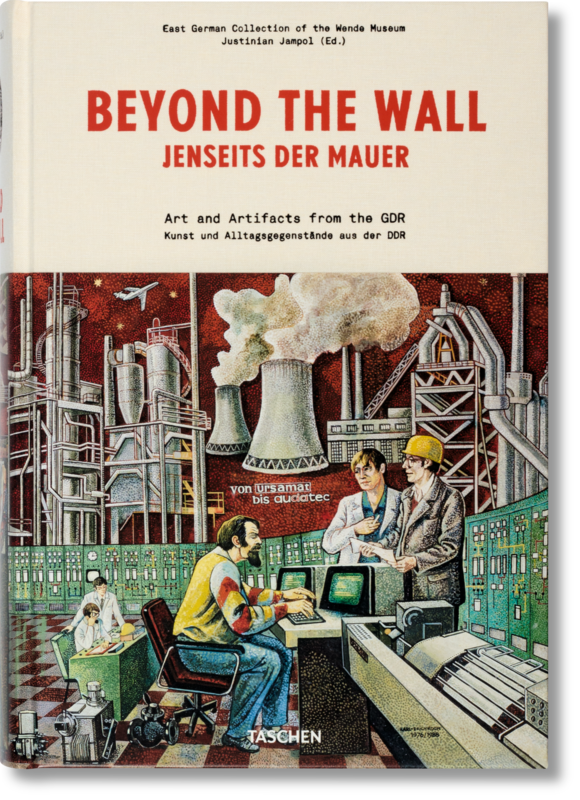 The Wende Museum in Los Angeles, California, is named after the period of change following the wall’s destruction. 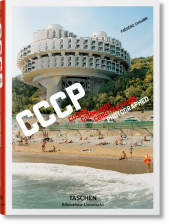 It was established in 2002 to study the visual and material culture of the former Eastern Bloc, and, with physical and psychic distance, to foster multiple perspectives on this multilayered history that continues to shape our world. 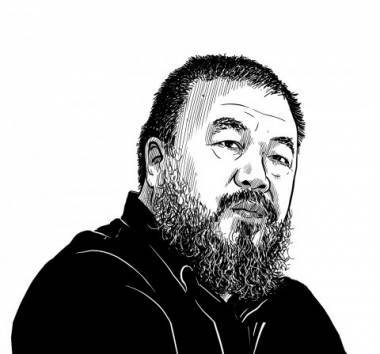 This encyclopedic volume features over 2,500 items from its extraordinary collections. 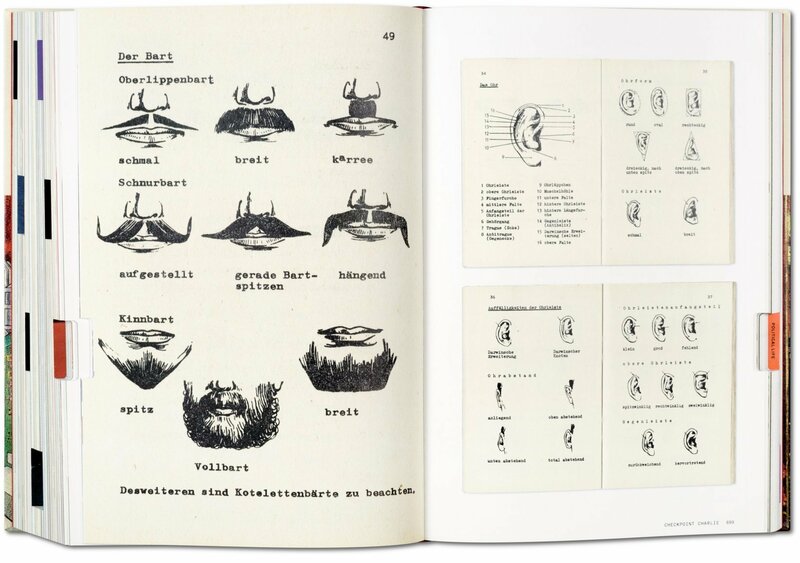 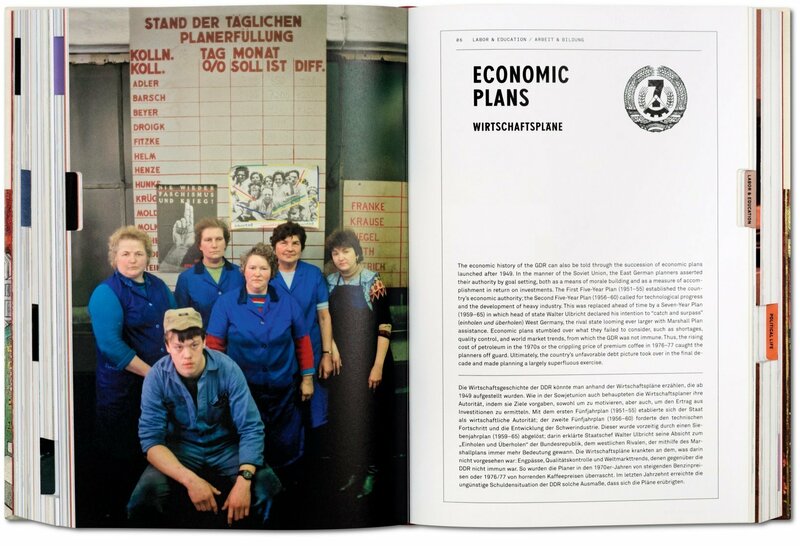 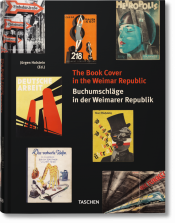 Never before has a book included this full a spectrum of art, archives, and artifacts from socialist East Germany: official symbols and dissident expressions, the spectacular and the routine, the mass-produced and the handmade, the funny and the tragic. 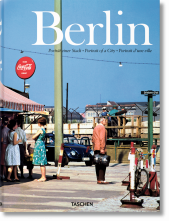 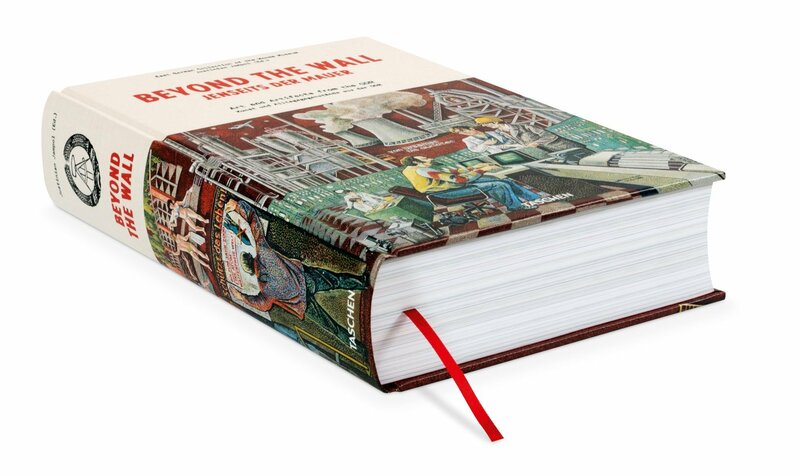 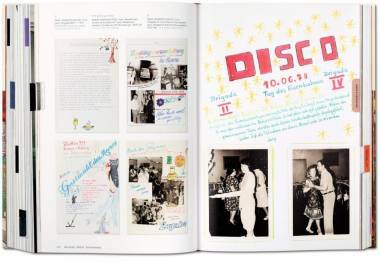 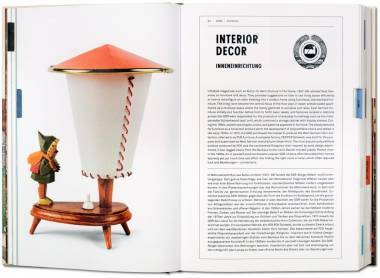 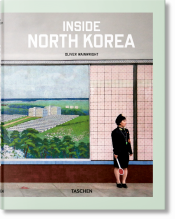 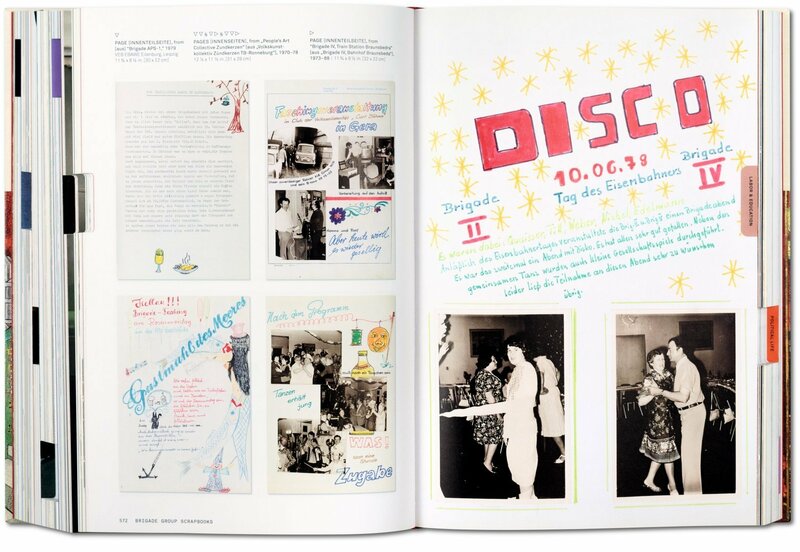 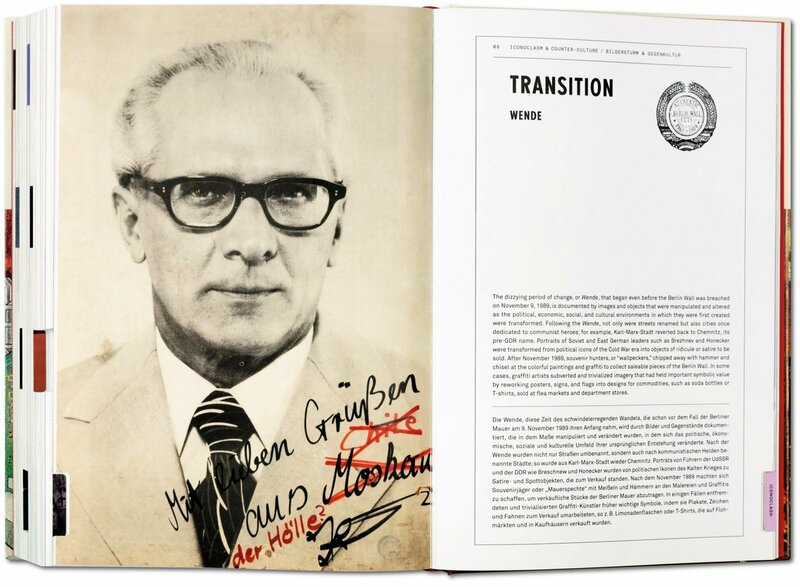 Packaged in a slick, portable box, the book also comes with a facsimile of a GDR family scrapbook, documenting real and imagined travels both within East Germany, and across the border. 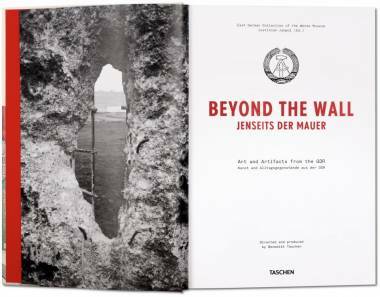 Starting November 18, 2017, visit the Wende Museum at its expanded campus in Culver City’s Armory Building, a site originally created in preparation for World War III but re-designed by Michael Boyd, Christian Kienapfel, and Benedikt Taschen to welcome its 100,000+ collection of artifacts.